In the Rwandan culture, one does not wash dirty linen in the presence of visitors or broadly, in the public to be seen or heard by all. Now that the visitors, who attended the fourth Transform Africa summit, are gone, we can assess what went well and what went wrong; traditionally known as Kwinegura (assessing oneself). The summit was packed. 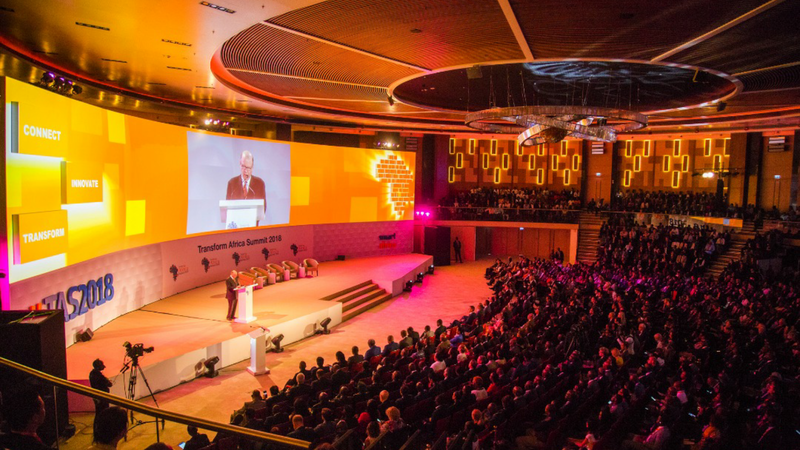 Smart Africa Executive Director, Dr. Hammadoun Toure, the host, said that 4000 people attended the summit. Over a dozen media houses from South Africa, West Africa, North Africa and East Africa were invited to cover the summit, except of course there were no journalists from the West. They never covered the signing of the Africa Continental Free Trade Area agreement, they would hardly be swayed to cover Transform Africa summit. That is another subject to be explored another time. During the different sessions, many other activities were taking place below the radar and at the margins of the open plenary discussions. These included extensive networking and networlding. Others were rubbing shoulders with billionaires and millionaires. Taking selfies was the order of the day. And eating the good food was of course part of the deal. While all these great things are noteworthy, there are also other issues the media did not report. Our team has outlined ten of them. The quality of technologies exhibited was mind-boggling. At the Japanese pavilion for instance, 28 companies and government agencies such as top-notch universities were there to showcase Japan’s technological supremacy. There was a prototype of the latest miniature satellite invented by one and only Professor Shinichi Kimura, a man with a mission. He has many missions under his belt and more on the horizon. A veteran researcher of robotic applications and aerospace engineering, today the overarching objective that drives, Kimura is nothing less than developing a robotic satellite to clean up space. Kimura’so satellite can cull junk from space. It has three absolute requirements—the equivalent of eyes, brains and hands. He was quoted recently saying that, “In low orbits, satellites can only transmit communications in 10 minute bursts and only five times a day. In short, you can’t direct them to take action. For a satellite to collect debris, it needs eyes to find the debris, a brain to know to approach it and hands to collect it.” That piece of art was showcased. Rwanda did not think twice before signing a deal with Tokyo University to have this thing. But that was not the only interesting technology. There were many more including Artificial Intelligence and drone capabilities. Estonia, which is known for being one of the leading e-government run state, brought to light some of the greatest platforms in the world. On the side of Rwanda, a young grad, among over a dozen innovative Rwandans, displayed his solar-powered car while others showcased robots that will change the future of Rwanda. The list of good stuff was long. Those were just some of the few to mention. We don’t intend to mean that previous summits lacked in terms of quality discussions, but the content of the subjects and ideas that were shared were of superb quality. Real talk. Big talk. And unique intelligence. When you bring policy makers on the same table with the private sector, particularly people with vast experience, the quality of talk catapults to a level that delivers desired gaols and ambitions. And this is would probably be a fair observation on the organiser’s ability to choose relevant topics and the right minds to share their views. We saw industry leaders and technicians with vast experience and a broad range of knowledge, notably the likes of Strive Masiyiwa owner of Econnet and Carlos Slim Helú, a Mexican business magnate, engineer, investor, and telecom big brain. This is not to forget President Kagame’s icing on the cake. Rarely do we talk about the level of comfort that comes along with safety and high standard facilities. The CTU squad displayed, as usual, unequalled discipline and professionalism. How the security detail behaved during the chaotic movements of 4000 people in one building was what many would agree to be described as “clean and surgical”. These guys would bother no one or threatened anybody. They are not the guys who squeeze you in the corner for questioning for being in the wrong place or looking suspicious. They simply did their job and minded no one’s business. In fact very few participants noticed how strategic they were deployed to the extent that every turn one made, a CTU guy was right there. Of course the convenience of the venue speaks for itself. The Convention Center does not disappoint. It has all it takes to host any global event. Unless there is proof that there was a case of food poisoning or isolated discomfort, the chefs deserve an A. The food that was served was of global standard. 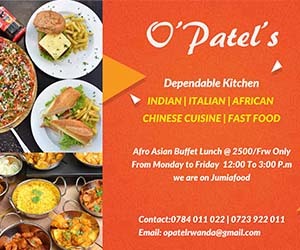 Some people from different cultures come with a different taste of their own cuisine, but the variety of food offered was commendable and accommodated the diversity. Those who attended can testify to the delightful breakfast as well. The cookies, the aromatic Rwandan coffee and the good tea were what everyone looked forward to having every break. Restrictions to forums pisses off many participants whenever there is an event. Right from the entrance, as long as one had a budge, access to any prefered forum or individual save for the few like the President and other dignitaries, participants roomed freely and made contact with anyone they wished to. Protocol was minimised to the lowest level possible. The mingling was guaranteed throughout. All things were good until the point when small details were paid attention to. We regret to mention that much as there was free movement and networking, the ushers at the event were all over the place and looked disorganised, thus unable to provide the required orientation to participants. If one wanted to meet a particular person, in a population of over 4000 people, chances were so slim that they would get help. In such a situation, the fact that it was a business forum, organisers needed to have been able to assist in arranging side meetings and rooms for people to meet for one-on-one business meetings. It is important to note that this time there was no avenue for local entrepreneurs to pitch to angel investors. How organisers expected the two worlds to meet is only known to them. Back to the ushers. They looked more of security guards, noticeably, they were not hospitable at all. Fair to say, they lacked a professional touch in their conduct. We witnessed several incidences, where high level delegates stood behind for minutes while figuring out where to sit and where not to sit. An example was when Ecobank Group CEO uncomfortably stood at the back like an event fluker. See above in the photo how the ushers were dressed in lousy and ugly branded t-shirts, which brings us to the following point below. If you want not to have people badmouth-ing about you, don’t mistreat those with the big mouth. They are the first people who will speak about your behaviour at the end of the day. How the organisers treated the media is not only unforgiving, but also unacceptable. Had it not been some members of the media speaking up and demanding for some respect and allowing them to do their job, the first day was totally a nightmare. Organisers swung into the media room ans gave outrageous instructions. On the first day, one of the facilitators came in and began giving instructions that all camera crews follow him in the line as if it were donkeys being taken to the well. Then inside the auditorium, no photographer or videographer was allowed to cross the line at the back. All of them were grounded and staged at the back and asked not to move as if they were snipers waiting for their target. Only a select few who work for the president and the office of the government spokesperson were freedom to get access to exclusive moments from the front. Look around to see the kind of footage and photographs trending around about the summit. They all show the backs of the participants and the podium. The effect of this can be analysed in many ways. We won’t forget moments when organisers arrogantly singled out journalists from seats and demanded that they go stand behind like security guards. We were so ashamed to witness our colleagues from different countries being tossed around like masqueraders in the wrong place. Such a thing happening again will give the country bad publicity and will kill the MICE industry. No journalist wants to attend an event where they will be treated like trash. Forget. We don’t need red carpet, but we detest disrespect and dealing with ill-mannered characters. Disregard could be reason why media was not provided with press releases, denied interviews and received no press briefings except for a few where Smart Africa wanted to be seen on camera signing some agreements. We said the food was good. Indeed it was, but the last days come with a nasty surprise. Watching a person struggle to hold a hot disposable plate is a bad view. Whoever brought the idea of serving food on plastic places and worse enough those that are shaped like the ones used in prisons should be prosecuted or at least summoned and questioned. The child-sized forks were disturbing. It took almost 30 minutes to complete a meal with the 5 centimeter forks. Torture, simply put. We don’t understand how the Radisson Blu accepted such a low and embarrassing standard. Not all was bad. Let’s end with a positive note. The golf tourney was epic. Whoever thought about it is a genius. The entertainment at the cultural village was fantastic. If more of such kind of side events were to be organised for participants in every summit, Rwanda might see an increment in revenues raised. Such events tempt and facilitate visitors to dig deep into their pockets to spend. It’s a good mix into the events . If you attended and made your own observations, please share your comments below. You can also comment on our observations. Funny thing is that there’s nothing substantial on this list, which comforts me in the idea that these kind of meeting are just for blabla talks. Bravo Taarifa Team for this interesting story.